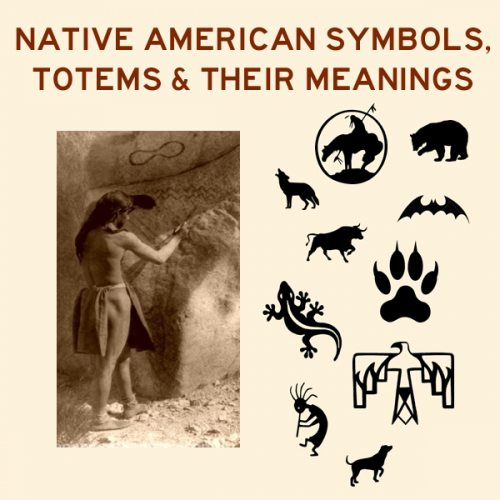 From the pages of Legends of America, we've taken our content on Native American Symbols, Pictographs & Petroglyphs and combined it with our material on Native American Totem Animals and Their Meanings into one pdf download. When European explorers arrived in America, Native Americans did not communicate through writing as we know it. Instead, they told stories and created pictures and symbols. A totem can be the symbol of a tribe, clan, family or individual. Native American tradition provides that each individual is connected with nine different animals that will accompany each person through life, acting as guides. Document is 20 pages in length and formatted to print on 8x11.5 paper.